Modern businesses are hungry for bandwidth. These expanding bandwidth requirements translate to more complex and costly network administration needs. When coupled with increased cybersecurity threats such as DDoS attacks, organizations are in need of simple and secure ways to administer high-performing networks. SD-WAN technologies are an increasingly popular option to automate network performance management for organizations. While SD-WAN can simplify the administration of multiple networks for many companies, it isn't the right option for every organization. Much like other fast-growing technologies, SD-WAN is surrounded by hyperbole and misunderstanding. In this blog post, you'll learn what SD-WAN is, its benefits and misconceptions, and how to select the right SD-WAN provider for your needs. SD-WAN Explained: What is SD-WAN? SD-WAN is an acronym applied to software-defined networking within a wide area network (WAN). It simplifies enterprise WAN management by providing a user-friendly control interface which is separate from the networking hardware. SD-WANs continually measure essential network performance metrics, such as latency and availability, over multiple networks. Based on performance, the SD-WAN automates network management by assigning network resources to optimize performance. SD-WAN technology can improve or replace traditional branch routers, allowing network administrators access to more straightforward setup and policy control. Frequently, SD-WAN technology is used to enable high-performance enterprise WAN instead of higher-cost alternatives such as Multiprotocol Label Switching (MPLS) technology. MPLS is a type of data-carrying technique for high-performance networks in telecommunications and technology which involves the deployment of physical routers. An SD-WAN can either consist of physical hardware or virtualized technologies, although cloud-delivered SD-WAN services have become increasingly common. Enterprises who use SD-WAN for WAN administration may receive this service through a cloud services provider, or have the SD-WAN device in a corporate data center or a physical office building. Researchers estimate that 50 percent of enterprises currently have SD-WAN technology in use. 75 percent of the remaining organizations plan to deploy this technology in the next 12-18 months. In 2013, SD-WAN adoption was just 5% according to Gartner's estimates. Five years later, that figure has skyrocketed to over 50%. While SD-WAN is a relatively new technology, it's no longer considered "emerging," and it's certainly not without use cases. However, as with any fast-growing technology, certain myths surround SD-WAN, and it's value to the enterprise. We've debunked three of the most common below. Wrong. SD-WAN prioritizes application traffic and bandwidth resources. With an SD-WAN, it’s still possible to have challenges if you’re trying to run unified-communications-as-a-service (UCaaS) over-the-top with commodity internet services. You can mitigate these challenges with dedicated fiber-optic internet connectivity, enterprise-grade internet service, and redundant connectivity. What SD-WAN does is optimize how your traffic is prioritized and routed and automates optimal usage of network resources. 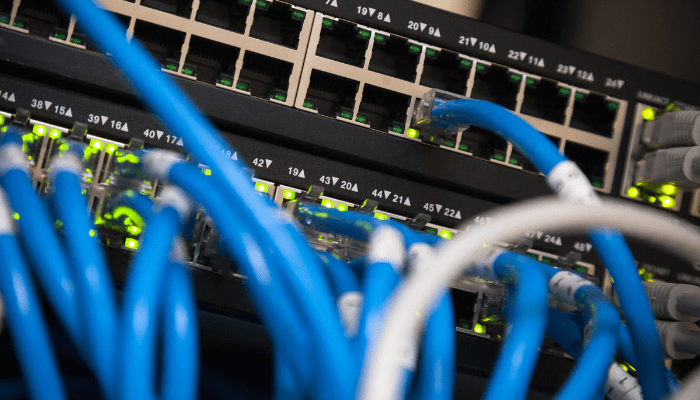 If you have two data connections and one fails, an SD-WAN can automatically enable utilization of the backup circuit. Discover why enterprise-grade connectivity matters in 7 Reasons Unified Communications as a Service On Public Internet is Risky. SD-WAN may be much cheaper than an alternative that performs similarly. SD-WAN allows organizations to reliably support the requirements of UCaaS at a lower cost than MPLS. MPLS requires organizations to purchase higher-end routers, which are significantly more expensive than using SD-WAN devices. For some organizations, SD-WAN is the right solution. For others, MPLS is the right solution. If your organization is required to meet uptime requirements for clients by service-level agreements (SLAs), you may need to seek the costlier alternative of an MPLS. MPLS deployments may best meet the needs of organizations in the software-as-a-service (SaaS), telecommunications or cloud services industries. For many other organizations, SD-WAN is a more than sufficient solution. It’s not necessarily better than MPLS, but it is cheaper and, in some ways, easier to manage. It’s a viable option for organizations for whom MPLS is overkill. Your organization may be considering a migration to SD-WAN from MPLS, or it may be your first time considering this type of technology deployment. Regardless of your technological baseline, understanding your requirements is the best way to begin evaluating cloud SD-WAN providers to extend your network capabilities. The following points can inform your search, and help you identify vendors with the right capabilities and record to meet your needs. What types of locations does your organization need to connect in the present and future? Your SD-WAN needs may involve physical offices, the cloud, applications, mobile users, remote workers, colocated servers, and other network needs. Ensure a prospective provider can not only meet your current requirements but expand to meet future growth. The simple interface of SD-WAN technology is among the most attractive features to many prospective users, but it’s not necessarily a guaranteed feature. Before you select a vendor, ask for a preview of the SD-WAN interface and ensure it involves point-and-click administration. Inquire about staff training to ensure your IT team will be prepared to handle your networks when deploying new technology. Many cloud SD-WAN services allow administrators to deploy new networks and sites without being physically present, a concept known as "zero-touch provisioning." In this model, a connected and powered site downloads a secure network from the cloud server. To capture the simple deployment advantages of SD-WAN, ensure that zero-touch is a feature offered by the cloud vendor. An SD-WAN delivered through the cloud should enhance your organization's network performance and reliability. However, a cloud provider who skimps on business continuity planning may not be able to deliver SD-WAN services you can trust. Ensure a prospective vendor offers SLAs and a strong track record of uptime. Verify details such as fiber-optic internet connectivity, redundant power, redundant cooling, and other disaster-recovery aspects in the vendor's data centers. An SD-WAN deployment can enable your organization to enhance information security by simplifying your ability to encrypt data and perform network segmentation. Ask your provider about their approach to security, and any other cloud or managed security services offered by the organization. Tap into the pulse of virtual threats in 4 Cloud-Based Phone Implementation Errors that Lead to Security Risks. Work with prospective SD-WAN providers to understand the features and capabilities in the administration portal. The centralized administration features should offer total network oversight, as well as fully automated capabilities for network performance. Verify that your vendor’s technology will give you access to easy controls and the reporting you need to understand your network. If your organization faces difficulties with your SD-WAN tool post-deployment, can you make a call and receive immediate, expert answers? Network reliability and performance is critical to the success of your business. Interview vendors to ensure their customer service representatives are domestic, trained in first call resolution, and available 24/7. Is SD-WAN right for your needs? If your organization needs to maintain high-network performance across multiple sites, it may be. SD-WAN is likely the right choice for your needs if you're struggling with the administration of numerous WANs and need to automate dynamic network performance capabilities. Unless your organization is bound by SLAs or industry-specific requirements to extreme uptime which would necessitate a costly MPLS deployment, you may be a candidate for SD-WAN. While SD-WAN is a powerful technology for many organizations to deploy, it's not a silver bullet, and it's not the right choice for everyone. Due to its fast-growing popularity, there are many myths and misconceptions about what SD-WAN can do. With an understanding of this technology's benefits and limitations, organizations can prepare to search for a cloud vendor. Beginning the search for SD-WAN, DDoS protection, and other cloud services can be overwhelming—especially if your organization is starting the transition to cloud adoption. To proceed with confidence, download the free eBook: 10 Questions to Ask Before You Buy Data Center Services for Your Business.